It has been over 200 years since Mount Tambora in Indonesia erupted violently, resulting in death and disorder on a global scale. 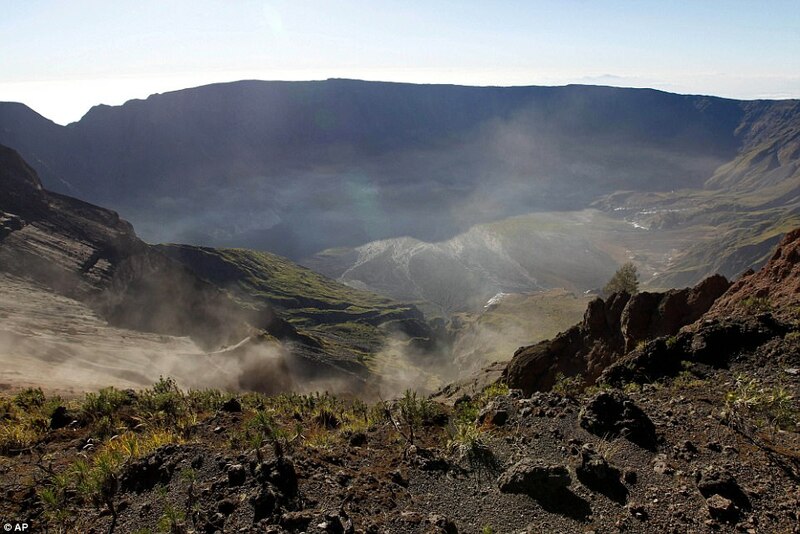 According to The Guinness Book of World Records it is the deadliest volcano in history. Here MailOnline Travel reveals the horrifying - but fascinating - history of the blast and how tourists today can take a peek at its incredible crater. Mount Tambora is an active stratovolcano - meaning it is made up of layers of ash and lava - on the island of Sumbawa in Indonesia, once known as the Dutch East Indies. Its eruption in 1815 killed around 10,000 people instantly, while the fallout from the blast included formidable tsunami waves and then famine and starvation, which took the death toll up to some 100,000 people. 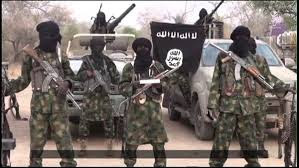 The exact number of fatalities varies with some sources saying as many as 120,000 people were killed while others put the figure at around 70,000. Mount Tambora began to erupt just before sunset on 5 April 1815 and continued for five further days, blasting even more ferociously on 10 April. The eruptions were heard 2,000 kilometres (1,242 miles) away. Molten rock shot more than 40 kilometres (24 miles) into the sky and a thick veil of ash spread over a million square kilometres (386,000 square miles). In total, around 140billion tonnes of rock, ash and debris was flung into the sky. The entire region was plunged into darkness. Debris hit the sea surrounding the island with such force and in such huge volumes that deadly tsunamis up to four metres high (13ft) were set in motion. Islands of pumice - having been ejected from the volcano - were spotted floating in surrounding seas by sailors for years after the blast. 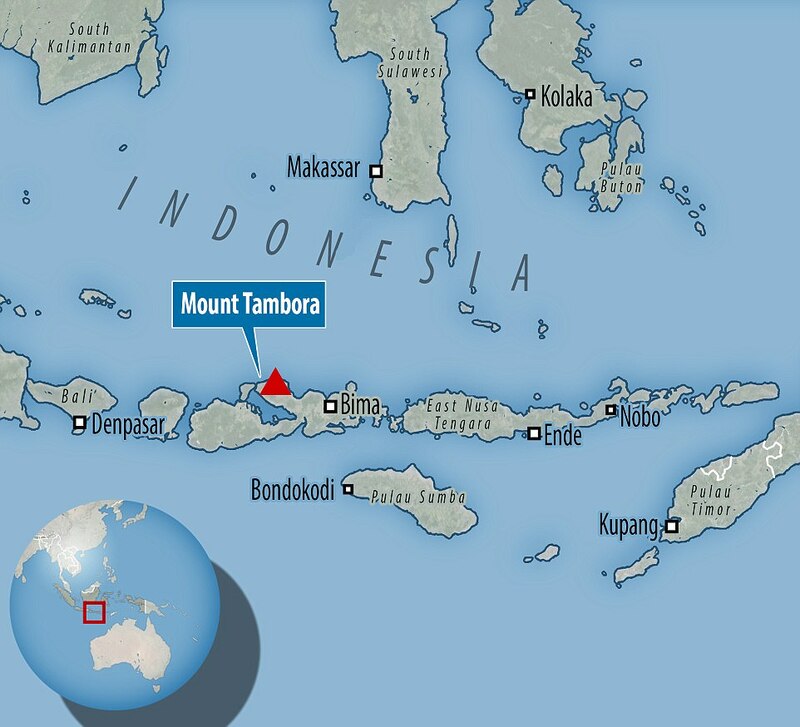 But the impact of Mount Tambora's blast wasn't localised to Indonesia or even Asia. The consequences of such an explosion affected the entire world. The period following the eruption is widely known as the 'year without a summer', with much of the northern hemisphere seeing no seasonal change - enduring a bleak, year-round winter. The cold climate - caused by less sunlight passing through the stratosphere in the wake of the volcano - caused chaos. Reports of clothes freezing on washing lines in the middle of 'summer' were the least of the troubles. The biting temperatures resulted in poor crop growth and therefore food shortages in many countries and in some cases, such as Ireland, out-and-out famine. Another extraordinary consequence of Mount Tambora's explosion and the gloomy weather that followed was the production of some of the most terrifying books in the history of literature. A group of writers, including Mary Shelley, were kept inside their villa on Lake Geneva for much of their holiday thanks to rainy, cold days. To pass the time they competed to produce the most frightening story - and this is how Frankenstein was dreamed up. It's amazing to think that because there was none of the modern technology that keeps us so connected today, no one had any idea that the reason for the cold and hunger was an exploding mountain in Asia. 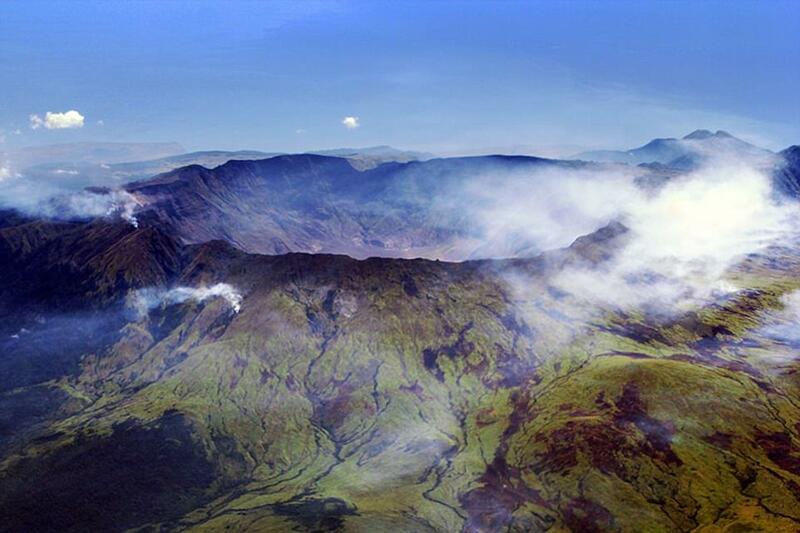 Mount Tambora was once similar in stature to Mont Blanc (4,810 metres/15,780ft) but the 1815 eruption blew its top off. 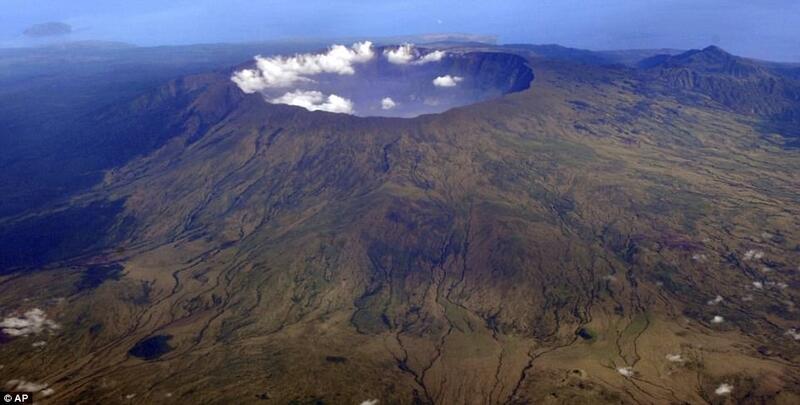 Today it stands at about 2,722 metres (8,930ft) and has a 1,100-metre-deep crater (3,608ft). 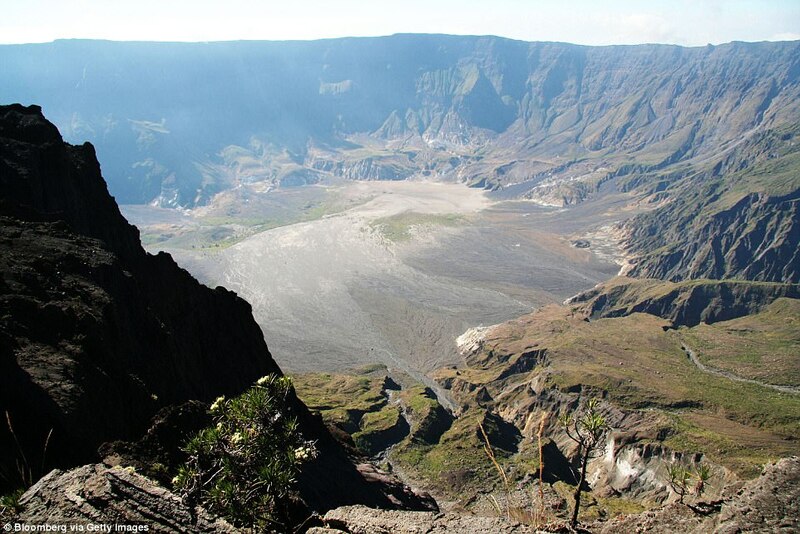 The area is now known as Mount Tambora National Park and offers trekking and camping opportunities - you can hike to the rim and even descend into the volcano's deep crater. 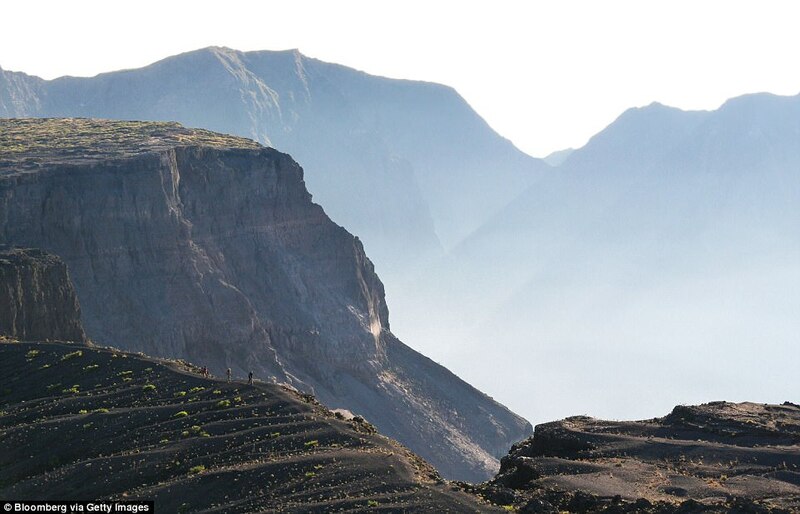 You're likely to be one of only very few people on such a trail though: in 2016 Visit Tambora - which organises the hikes - welcomed only 60 or so trekkers. Archaeologists are also interested in the area given that artefacts from the village of Tambora, which was decimated during the eruption of 1815, have been discovered in recent years. Travellers can also take in the natural beauty of the uninhabited Moyo island nearby - with its wild pigs, barking deer and dramatic waterfalls.